My My George !! Why so short ?? Beeb enjoying your posts . Sorry. I am not able to comment on being short because I do not comprehend what you wrote. 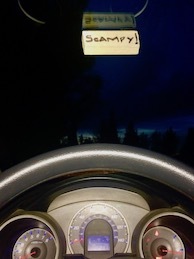 Scampy and all the team will be soooooooo happy! Have fun. Yes! There is tremendous excitement around here this morning! Sooooo much that it is exhilarating!